Welcome to the Modern Middle Ages! 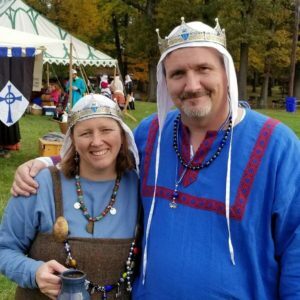 Welcome to the Barony of Lochmere, the Central Maryland chapter of the Kingdom of Atlantia and the Society for Creative Anachronism (SCA). We are an organization dedicated to researching and recreating the history, martial arts, and arts & sciences of Medieval and Renaissance Europe. In the Barony of Lochmere, you can dress, fight, dance, and sing like it’s the Middle Ages, or you can just come on out and learn more about the how and why of medieval history and crafts. If this is your first time visiting us, check out our New to the SCA page. We look forward to hearing from you! Join us for a Night in Navarre, on Saturday, April 13 2019!